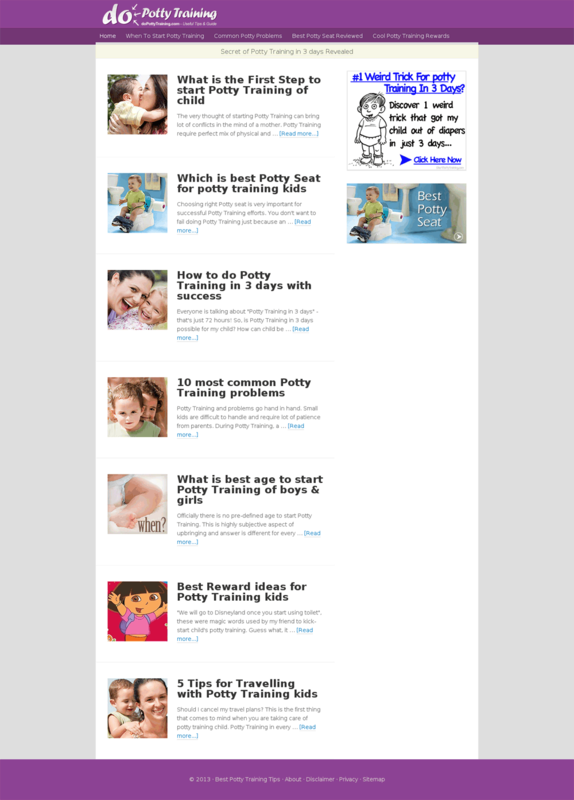 Do Potty Training (dot com) has niche blog layout for affiliate marketing conversions. Custom child theme for Genesis Framework has been designed and developed in-house. Brief was easy readability and prominent focus on the content rather than design distractions. Work: Website Design (Responsive, HTML5), Custom Theme Development, Website Installation, SEO setup, Logo Design, Social Profiles setup, Website Hosting.